Matthew J. Foster - Tampa Full-Service Law Firm | Allen Dell, P.A. 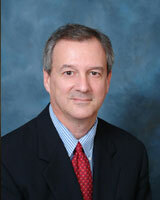 Matt Foster has been a shareholder with the law firm of Allen Dell since 2002. Mr. Foster focuses his legal practice on general corporate; mergers and acquisitions; and, tax planning and controversies. Assisting companies in their formation, development and ongoing legal needs. © 2019 Allen Dell, P.A., All Rights Reserved.